1 and 2 Samuel form one book in the ancient Hebrew manuscripts. They were not divided into two books until the Old Testament was translated into Greek. We don’t know who wrote the books; certainly, Samuel was a major contributor, but much of the book takes place after his death in 1 Samuel 25. They are called the books of 1 and 2 Samuel, not because Samuel wrote all of them, but because they describe his great ministry in Israel and the legacy of it. A. Hannah’s barrenness and her vow. 1. (1-2) The family of Elkanah. Now there was a certain man of Ramathaim Zophim, of the mountains of Ephraim, and his name was Elkanah the son of Jeroham, the son of Elihu, the son of Tohu, the son of Zuph, an Ephraimite. And he had two wives: the name of one was Hannah, and the name of the other Peninnah. Peninnah had children, but Hannah had no children. a. A certain man: At this strategic time and place, God began His plan as He almost always does – with a person He will use. God can do His work by Himself, or by angels, or by any number of other means; but His normal method is to find a certain man and work through him. b. Elkanah: He was a descendant of Zuph, and his family line shows he was a Levite (1 Chronicles 6:16-30). He is called an Ephraimite here because his family lived in a Levitical city in the boundaries of Ephraim, not because he was of the tribe of Ephraim. c. Elkanah… had two wives: Polygamy was a fact of life in the ancient world. However, the Bible never puts polygamy in a favorable light. Strife and conflict always characterize polygamous families in the Bible. i. There was an intense, competitive relationship between the two wives, Peninnah (who had children) and Hannah (who had no children). 2. (3-7) Elkanah and his family journey to the tabernacle. This man went up from his city yearly to worship and sacrifice to the LORD of hosts in Shiloh. Also the two sons of Eli, Hophni and Phinehas, the priests of the LORD, were there. And whenever the time came for Elkanah to make an offering, he would give portions to Peninnah his wife and to all her sons and daughters. But to Hannah he would give a double portion, for he loved Hannah, although the LORD had closed her womb. And her rival also provoked her severely, to make her miserable, because the LORD had closed her womb. So it was, year by year, when she went up to the house of the LORD, that she provoked her; therefore she wept and did not eat. a. This man went up from his city: According to the Law of Moses, Israelites could not worship God through sacrifice at any time and in any way they pleased. They were to bring sacrifices to the tabernacle and the priests, which at this time were at Shiloh. b. Also the two sons of Eli, Hophni and Phinehas, the priests of the LORD, were there: These priests are mentioned by name because they were known as notoriously wicked priests (1 Samuel 2:17, 24). Their mention here shows how godly Elkanah was. Even though the priests were wicked, he still offered sacrifices to the LORD, knowing that the wickedness of the priest did not make his own service to the LORD invalid. c. He would give portions: As Elkanah brought his family each year to the tabernacle for sacrifice he ate a ceremonial meal at the tabernacle with his family, giving portions to his wives and their children. He showed his favor and love to Hannah by giving her a double portion. d. She wept and did not eat: Because of the conflict between the two wives, Hannah could not enjoy this display of love and favor from Elkanah. i. It is possible for problems at home to make your time at the house of God miserable. Hannah is at the house of the LORD with a blessed double portion in front of her and she can’t enjoy it. 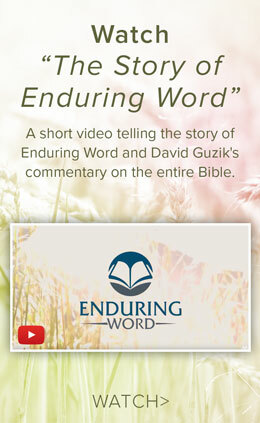 e. The LORD had closed her womb: Beyond Hannah’s painful trial there was a purpose of God. God used the trial of a closed womb to accomplish something great in her life and to further the whole plan of salvation. Even though things were hard God was still in charge. i. It seems strange that Peninnah (who seems of a bad character) was blessed with children and Hannah (who seems of a good character) was cursed with barrenness. Often, we don’t understand God’s ways until He completes His plan. 3. (8-11) Hannah’s godly vow. a. Hannah, why do you weep?… Am I not better to you than ten sons: In Elkanah’s response to Hannah’s sorrow, we see that he really did love her; yet like many men he was insensitive. He did not recognize that she had needs he could not fulfill (such as the desire to be a mother). b. Prayed to the LORD: Hannah was in bitterness of soul and great anguish, yet she did the right thing. Hannah took those bitter and anguished feelings to God honestly in prayer. c. O LORD of hosts: Hannah began her prayer by calling on the LORD of hosts.This title is used some 260 times in the Old Testament and has the idea “LORD of the Mighty Armies.” Hannah felt attacked by her rival, so she called on the LORD of Mighty Armies to be her protector. · Abstinence from any product from a grape vine, signifying distance from all fleshly pleasures. · Taking no part in any mourning for the dead, nor to come near a dead body, because the dead show the corruption and the fruit of sin. Also, this showed that the Nazirite had greater concerns than the ordinary joys and sorrows of life. · Never cutting the hair because it was a public, visible sign to others of the vow. · Typically, the vow of a Nazirite was taken for a set and rather short period of time. Samuel and Samson (Judges 13:5) were unique because they were Nazirites from birth. e. I will give him to the LORD all the days of his life: The child was already dedicated as a Levite because God regarded the tribe of Levi as His own special possession. But the time of a Levite’s special dedication to the LORD only lasted from the age of 30 to 50 (Numbers 4:2-3). Hannah took something that already belonged to the LORD and gave it again to Him in a greater way – for the whole life, and in the dedication of a Nazirite, which was a greater consecration than a Levite. i. Even so, we may be dedicated unto the LORD – but it is possible to give God a greater dedication. 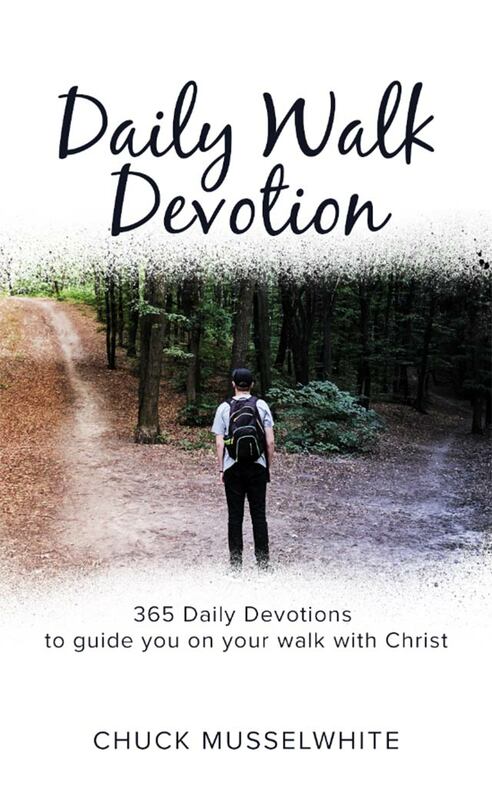 It would be easy for Hannah to say, “I don’t need to dedicate my child to the LORD, because he is already dedicated.” But there was a deeper dedication for the LORD to draw out of Hannah. 4. (12-14) Eli, the high priest, watches Hannah’s silent prayer. a. As she continued praying: This is literally, “as she multiplied to pray.” We only have recorded a bare summary of Hannah’s prayer. b. Now Hannah spoke in her heart; only her lips moved, but her voice was not heard: It is often good to pray aloud, because it can help us to better focus our thoughts. Yet this passage shows that prevailing prayer doesn’t need to be vocal. Effective prayer can be silent and in the heart. c. How long will you be drunk: Eli misunderstood Hannah, but the fact that he suspected that she was drunk shows that it may not have been unusual for people to become drunk at the “fellowship meals” with the LORD at the tabernacle. The fact that Eli suspected Hannah of drunkenness doesn’t speak well for what went on around the tabernacle. 5. (15-18) Hannah responds to Eli’s accusation; Eli answers with a blessing. And Hannah answered and said, “No, my lord, I am a woman of sorrowful spirit. I have drunk neither wine nor intoxicating drink, but have poured out my soul before the LORD. “Do not consider your maidservant a wicked woman, for out of the abundance of my complaint and grief I have spoken until now.” Then Eli answered and said, “Go in peace, and the God of Israel grant your petition which you have asked of Him.” And she said, “Let your maidservant find favor in your sight.” So the woman went her way and ate, and her face was no longer sad. a. No, my lord: Hannah did not accept Eli’s accusation, but she did not respond in a haughty or arrogant tone. She would explain herself, but she did it remembering that he was her high priest. b. I have poured out my soul before the LORD: This is exactly what Hannah needed to do. Instead of keeping the bitterness of soul and the anguish in her heart, she poured it out of her soul before the LORD. c. The God of Israel grant your petition: Eli may have spoken this only as a kind wish; but it was in fact a word from the LORD. d. Her face was no longer sad: The change in Hannah’s countenance shows that she received the promise with faith, something necessary if we will inherit the promises of God (Hebrews 6:12). i. Hannah shows how we can regain the joy of fellowship in the house of the LORD again: by pouring out our heart before the LORD and by receiving His word with faith. B. The birth and dedication of Samuel. 1. (19-20) Samuel’s miraculous conception and his birth. a. Then they arose early in the morning and worshipped: Hannah could genuinely worship the LORD in faith while the promise was still not yet fulfilled. This is a glorious pattern of faith. b. And the LORD remembered her: To use the term remembered is an anthropomorphism, a way of explaining God’s actions in human terms that we can understand, even if it doesn’t perfectly describe God’s action. It isn’t as if God ever forgot Hannah, but it is proper to say He remembered her. c. It came to pass in the process of time: It didn’t happen right away. Hannah had reason enough to be discouraged, but when the promise of God was spoken she did not lose faith in the promise, even when it took some time. She is a great example of those who through faith and patience inherit the promises (Hebrews 6:12). 2. (21-23) Hannah keeps the child until he is weaned. Now the man Elkanah and all his house went up to offer to the LORD the yearly sacrifice and his vow. But Hannah did not go up, for she said to her husband, “Not until the child is weaned; then I will take him, that he may appear before the LORD and remain there forever.” And Elkanah her husband said to her, “Do what seems best to you; wait until you have weaned him. Only let the LORD establish His word.” So the woman stayed and nursed her son until she had weaned him. a. Until the child is weaned: In that culture, a child was usually not weaned until two years of age, or sometimes three years. It is reasonable to assume that Hannah was in no hurry to wean Samuel. 3. (24-28) Hannah dedicates Samuel to God’s service. Now when she had weaned him, she took him up with her, with three bulls, one ephah of flour, and a skin of wine, and brought him to the house of the LORD in Shiloh. And the child was young. Then they slaughtered a bull, and brought the child to Eli. And she said, “O my lord! As your soul lives, my lord, I am the woman who stood by you here, praying to the LORD. For this child I prayed, and the LORD has granted me my petition which I asked of Him. Therefore I also have lent him to the LORD; as long as he lives he shall be lent to the LORD.” So they worshiped the LORD there. a. She took him up with her: This was hard for Hannah and Elkanah. Their willingness to fulfill the vow even at great personal cost is evidence of godliness in Elkanah and Hannah. b. With three bulls: The fact that 1 Samuel 1:24 mentions three bulls brought to Shiloh but 1 Samuel 1:25 mentions only one being sacrificed (with some of the meat available for a fellowship meal) emphasizes that one of the bulls was specifically made as a burnt offering for the cleansing and consecration of little Samuel. c. I also have lent him to the LORD: This could be translated, “And I also made myself to present for the LORD.” The idea is not that Hannah “owned” the child and “lent” him to the LORD. Instead, the idea is that the child is her “prayer,” or the fulfillment of her prayer to the LORD. i. The name Samuel means “Name of God” but Hannah – as was common among the Hebrews – made a pun on the name by saying that she had “asked the LORD for him.” Asked in Hebrew sounds like Samuel. d. So they worshipped the LORD there: Worship is a repeated characteristic of this family (see also 1 Samuel 1:3, 19, 28). Even in difficult situations, they could worship the LORD. Praising God on the day you give your little son away may not be easy, but it is praise God is pleased with, even as we are told to bring a sacrifice of praise to God (Hebrews 13:15).